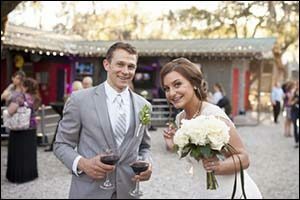 Planning a wedding can be a huge undertaking. From choosing the dress to selecting the location, hiring the vendors and making sure that all of the details are taken care of, it can be downright overwhelming. It is important to think about every aspect of your reception, such as picking out menu items that everyone will enjoy, hiring a band or DJ that will play your favorite songs, and making sure that there are enough activities for the guests throughout the evening. One way to create a custom favor and offer an interactive option for your guests is to hire a professional wedding photo booth for your wedding reception. When you rent a photo booth, you provide your guests with an instant ice breaker, a way for everyone to gather around, get involved, and create memories all in one swoop. Portland photo booth rentals provide everything you need from a professional and experienced photo attendant to social media options, photo booth props and lots of other great custom opportunities. A wedding photo booth for your reception provides lots of fun and can even be used as an activity while you and the rest of the wedding party are getting photos taken. There are so many reasons to rent a photo booth, especially for important milestone celebrations like weddings. Until recently, many couples simply placed disposable cameras out on the guest tables during the reception and hoped for the best. They imagined fun and candid shots of guests being taken by other guests and family members while they were busy cutting the cake and tossing the bridal bouquet. Unfortunately, what usually happened was that kids would get a hold of the cameras and the couple would get a lot of random pictures that they couldn’t use – if they even got the cameras back at all. Everyone loves taking photos and getting their pictures taken. 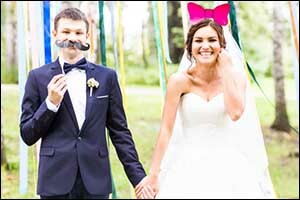 When you rent a wedding photo booth, you get the interactive fun that goes along with taking pictures, but they can be displayed on a monitor near the Portland photo booth for everyone to enjoy. Photos can be instantly printed, custom photo booth props can be used, and lots of great options can be included to make it even more fun. When you are planning a wedding reception, a lot of thought goes into the staging and scheduling for the event. There are things that the couple and the wedding party need to go do, such as taking professional photos, or changing into extra outfits for dancing or leaving on the honeymoon. During these time periods, your guests will need something to do. You can’t count on them to keep themselves busy, so you must have some activities planned. Signing the guest book, dropping envelopes in the gift box, talking with relatives and other guests – these things take a bit of time, but not near enough to ensure your guests won’t become bored while they are waiting. 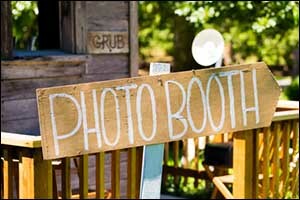 Most Portland photo booth rentals can be rented for two-hour blocks, which can be increased by the hour and strategically used when a time filler is needed. Make sure to have the emcee announce when the wedding photo booth is open and available for use. Take time to work with the rental company to choose the best photo booth props, backgrounds and options for best results. SnapZone Photo Booth provides a professional attendant who can help your guests learn how to best use the photo booth to get the best possible pictures for printing and sharing. Instead of handing out color-coordinated Jordan almonds or personalized M&Ms like every other couple in America, you could rent a photo booth and have customized photo strips for your guests to take home and remember your special day. Custom graphics and text can be used to include the name of the couple, the date and the location, as well as to include special images, colors and other theme options from your wedding ceremony and reception. Our Portland photo booth rentals come with a lot of great options that you can use to really make the printing selections customized and special for everyone involved. Make sure to also ask about our Social Media Station option, which allows guests to upload directly to Facebook, Twitter and Email using a special hashtag to keep everything all together. You can also sign-up for a special Memory Guest Book, a slideshow, an online gallery of photos – public or private, as well as a digital copy of all photo strips and high-res individual pictures to help you fill in your wedding photo book. 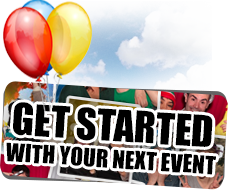 If you are interested in learning how to rent a photo booth for your special event, give us a call at 503-207-2020. Our team can help you choose the best options for your wedding photo booth, discuss selections for photo booth props and extras, while ensuring that you get the very best opportunities available for our Greater Portland photo booth rentals. 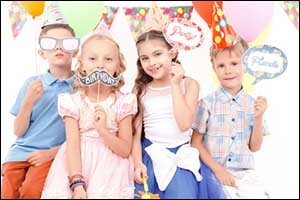 Call today to reserve your photo booth or to learn more about the services and products we provide.